Given that I can’t actually vote in the NUI Seanad panel election this is very much an academic question but I still get asked it. So, below you will find a pictorial indication of who I would consider giving vote for, in no particular order or preferences other than voting No.1 for myself naturally, if I had a vote to cast in this election. 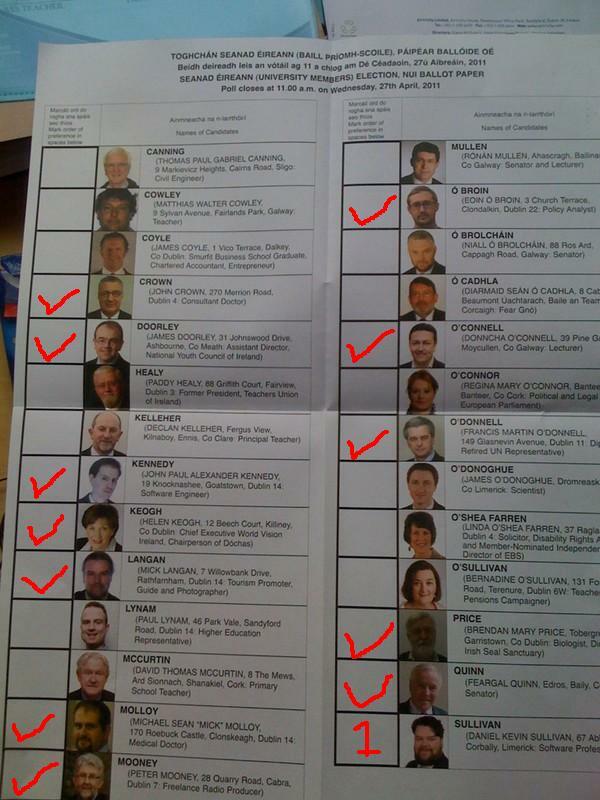 As I don’t have a ballot paper myself, I have lifted the image from the ballot someone else received and which they placed on twitpic. I will post later with reasons why.